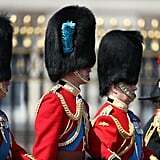 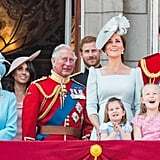 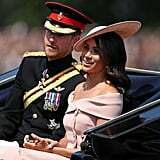 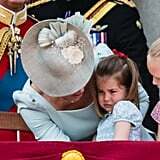 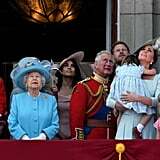 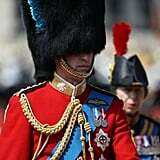 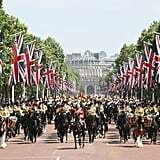 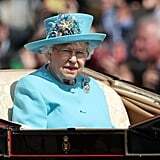 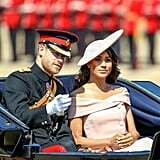 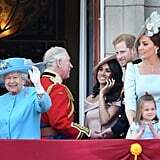 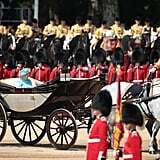 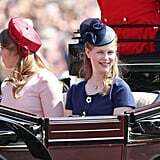 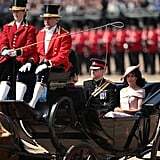 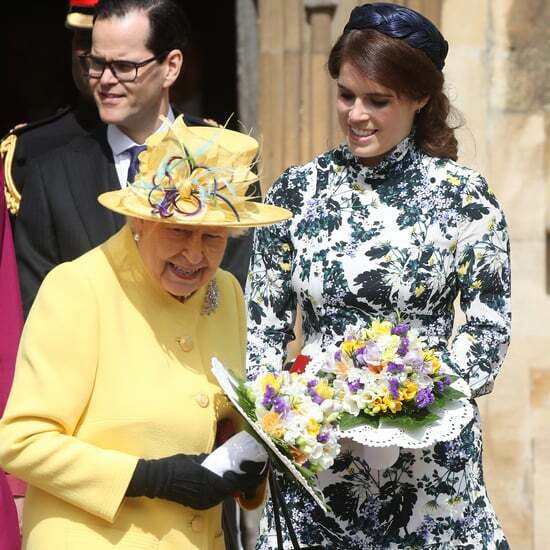 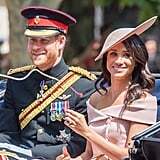 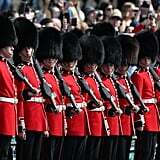 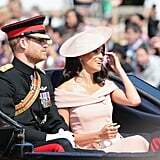 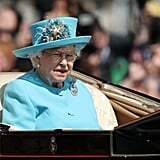 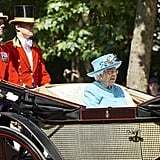 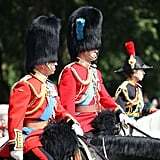 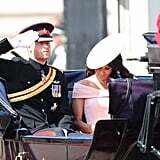 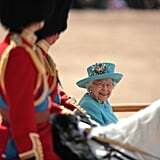 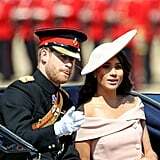 On Saturday morning, the British royal family came together for the annual Trooping the Colour, a military parade that doubles as the celebration of the queen's birthday. 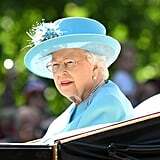 Queen Elizabeth II turned 92 back in April, but but when you're a monarch, one birthday is not enough, and June 9 was the day of her official celebration, which includes a pageantry display, followed by a fly-past from the Royal Air Force, which members of the royal family watched from the balcony of Buckingham Palace. 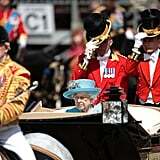 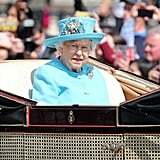 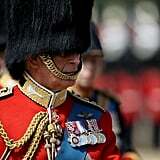 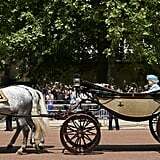 This year, the queen rode in her carriage alone, as the Duke of Edinburgh has now retired from official duties. 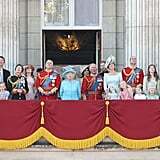 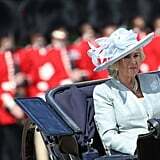 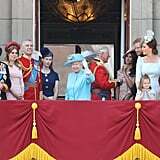 However, she was supported by her children and grandchildren, who rode behind her on horseback and in carriages. 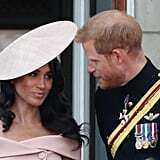 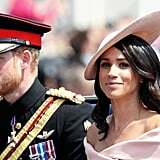 Meghan Markle made her first appearance at the event, only the second time we've seen her and Prince Harry since their May wedding. 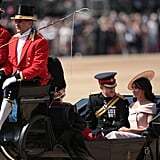 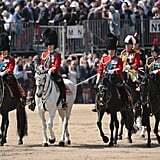 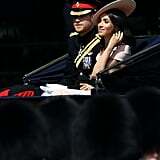 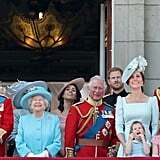 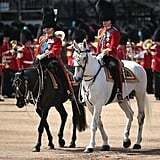 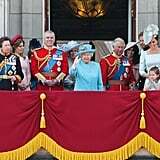 The newlyweds took pride of place, riding behind the queen during the parade. 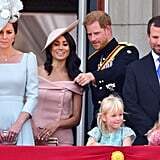 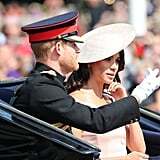 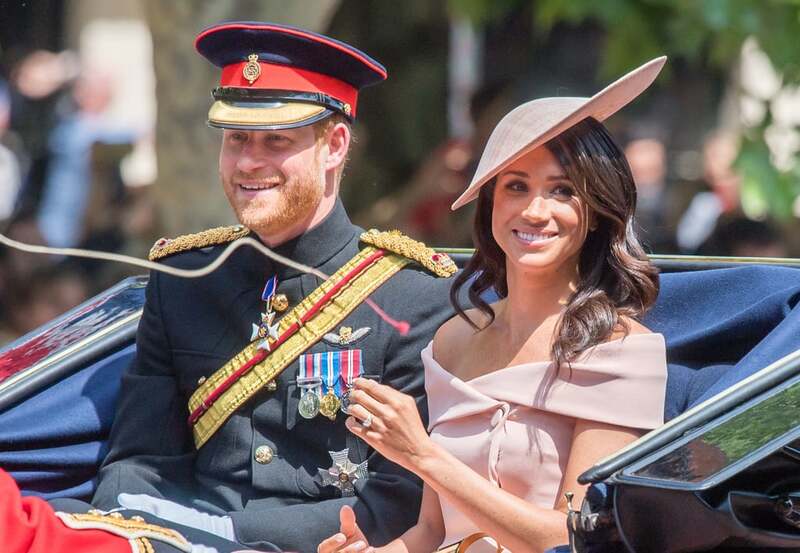 Unsurprisingly, all eyes were on the new Duchess of Sussex, who got a huge cheer as she and Harry rode past the crowds. 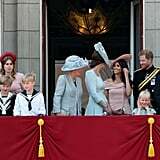 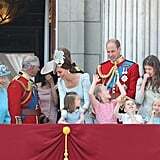 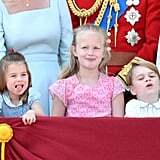 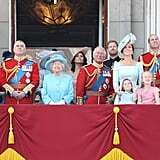 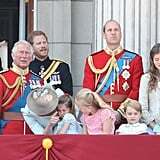 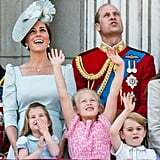 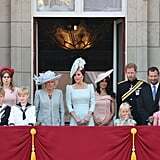 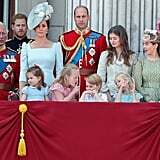 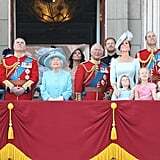 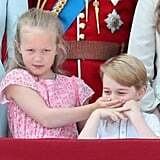 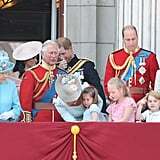 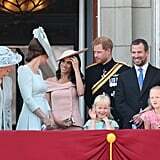 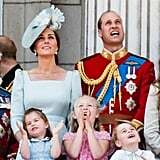 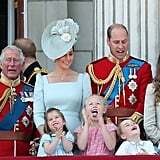 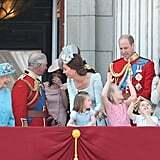 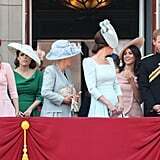 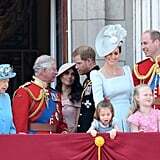 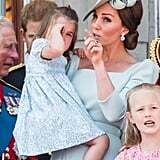 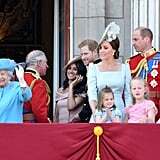 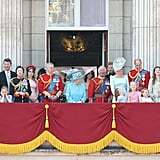 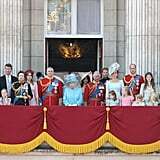 Further members of the family, including Prince George and Princess Charlotte, joined her on the balcony of Buckingham Palace later. 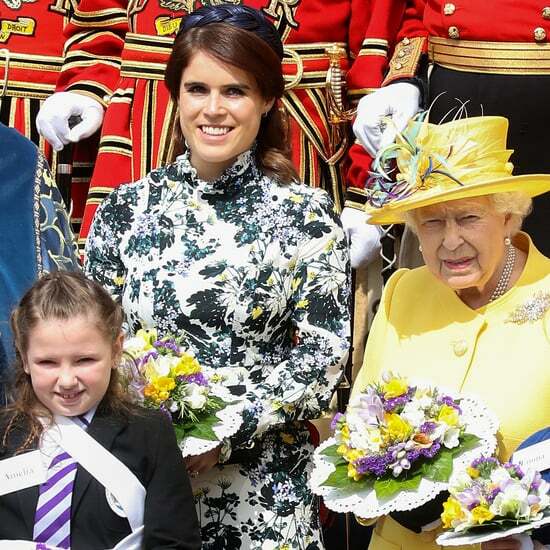 Read on to see all the photos from the day so far!